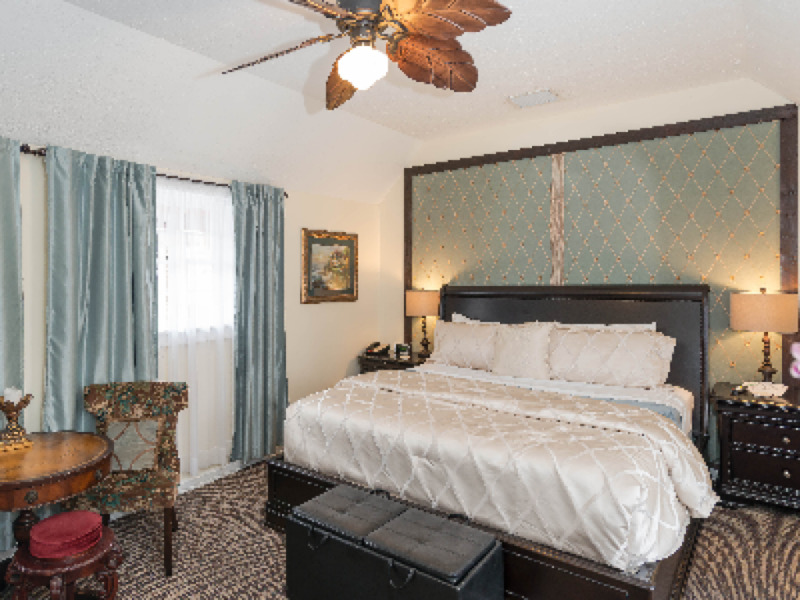 Our Lightner Room is located on our second floor and has its own private balcony that looks out over the Lightner Museum, the Museum Gardens, and Flagler College. 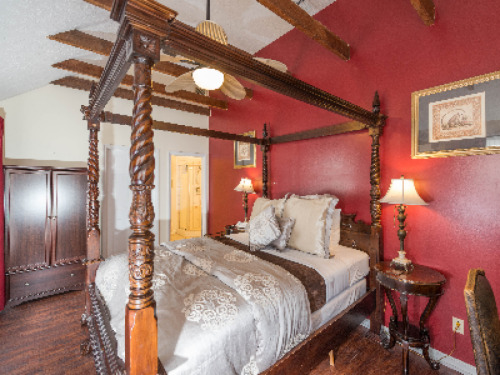 The room has a queen size four-poster, cast-iron bed, a large double window looking toward the Lightner Museum, cable TV, an en suite bathroom with shower, cathedral ceilings, and a private entrance via a covered hallway. The Ammidown Room is located on our second floor. 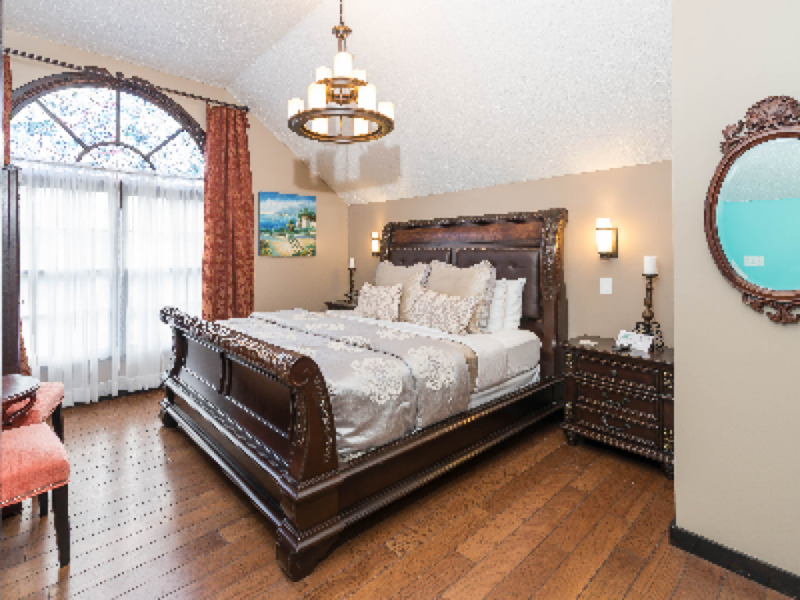 It has a queen-size bed, cable TV, an en suite bathroom with shower, a large stained glass window, cathedral ceilings, and a private entrance via a covered hallway. 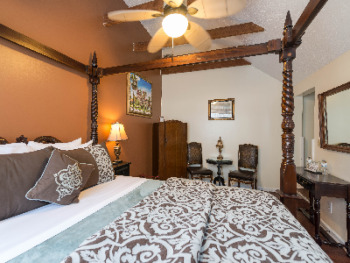 Our Cordova Room is located off a large, pleasantly shaded deck on our second floor. 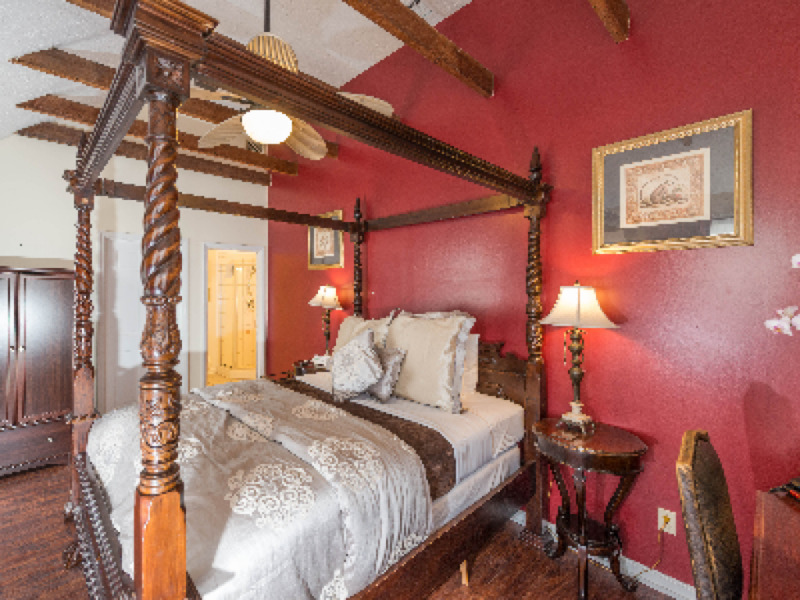 It has a KING-size, hand-carved bed, chaise-lounge, cable TV, an en suite bathroom with shower and bath, and a private entrance off the deck. Windows in the room look north towards Flagler College, the gardens of the Lightner Museum, and the Casa Monica Hotel and south towards Palm Row, a quaint residential subdivision built in the late 1800s. 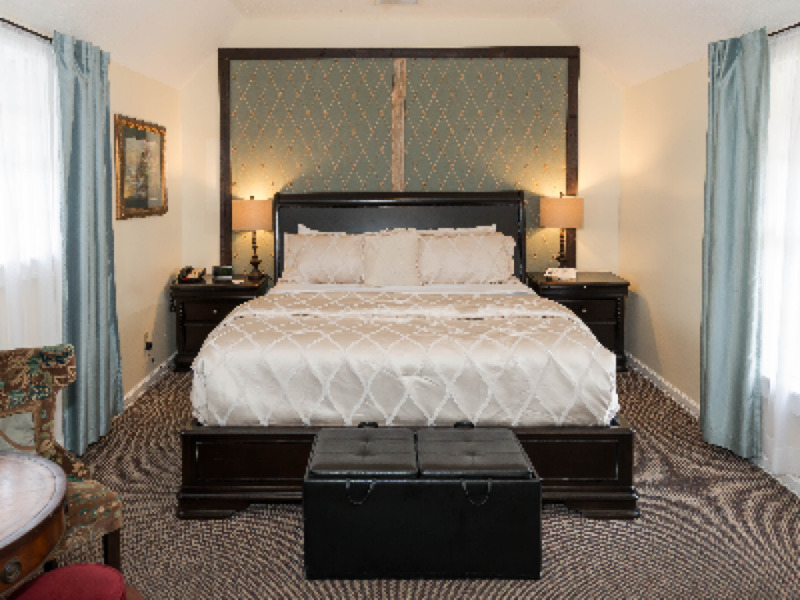 The Flagler Room is located on our second floor and is one of our larger rooms. In addition to a queen-size, hand carved, four poster bed, the room has a small living area with a (queen size) day bed and coffee table. 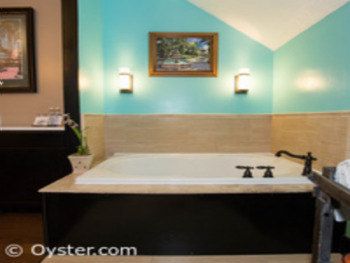 The room also has cable TV, an en suite bathroom with shower and bath, and a private entrance via a covered hallway. A second entrance way allows access to our rear staircase and our Alcazar Room providing a two bedroom suite if desired. 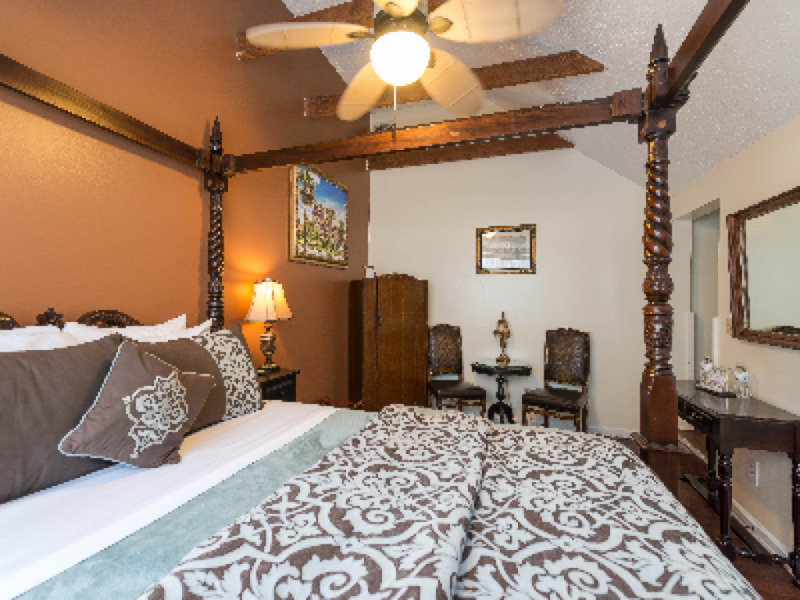 The Alcazar Room is located on our second floor and has a beautiful view of the Lightner Museum gardens and Flagler College. 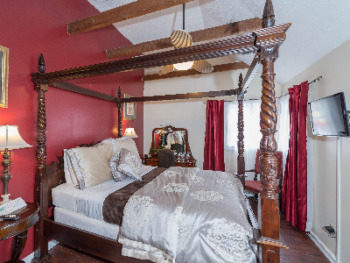 It has a king size mahogony bed, cable TV, an en suite bathroom with shower, cathedral ceilings, and a private entrance via its own staircase. 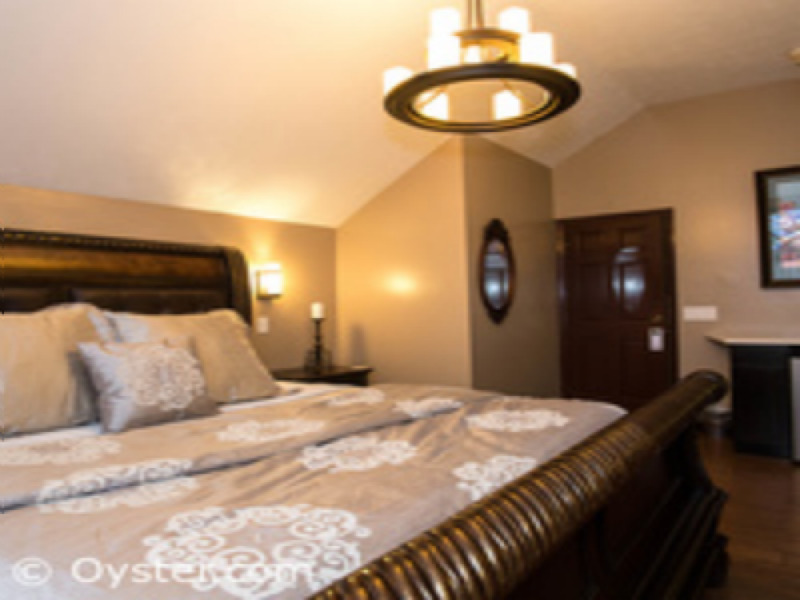 This staircase can also be made accessible to our Flagler Room providing a two bedroom suite if desired. The St. George Room is our most popular room and is located on the second floor. The room has a large sunburst window looking south towards Palm Row, a quaint residential subdivision built in the late 1800s. The room has a large Jacuzzi tub separated from the main bedroom area by plantation shutters. 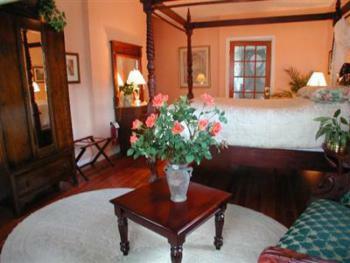 The room also has a KING size bed, cable TV and , and an en suite bathroom with walk -in shower. Voted “Best of St. Augustine,” “Best of Florida” & nationally voted "Top 15 Inns" for its restaurant's cuisine! St. Augustine’s only B&B with full service restaurant and bar features 7 elegant rooms reflecting romantic Spanish design with modern touch. 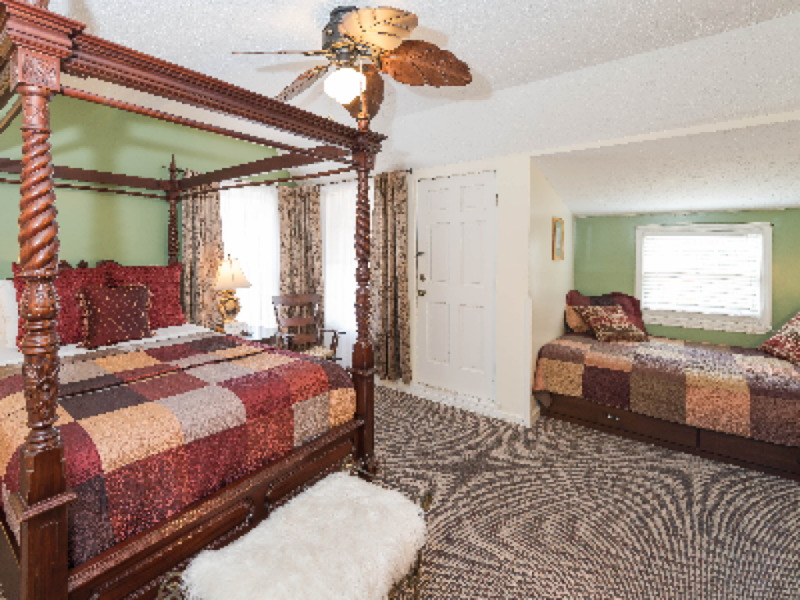 All rooms have independent entrants and private bathroom. 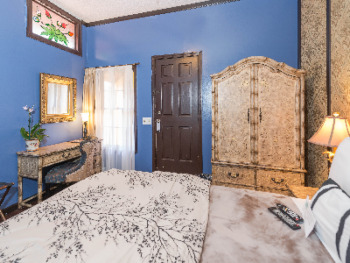 all rooms including free parking on side of building. 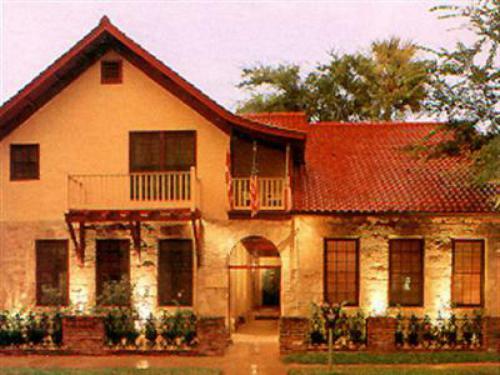 Located in the heart of the historic district.